You must make reservations at least 5 minutes in advance of the time at La Margarita. There is a public parking lot behind the restaurant on Dolorosa, we validate parking for $2.00 off your time here. There is also valet on right on Dolorosa Street in front of Market Square, Friday night, Saturday, and Sunday which is $5.00. Market Square is well-known for the century old tradition of strolling mariachis. Although Trio and Mariachi groups are independent musicians and charge a fee per song, for private parties our staff will gladly arrange to hire them for your entertainment, and include these charges in your bill. La Margarita can cater off-premise functions at locations throughout San Antonio. Our staff will gladly assist you in creating a menu appropriate for your event. Whether celebrating a special occasion with family and friends or hosting a corporate event, La Margarita can accommodate all of your special event needs. 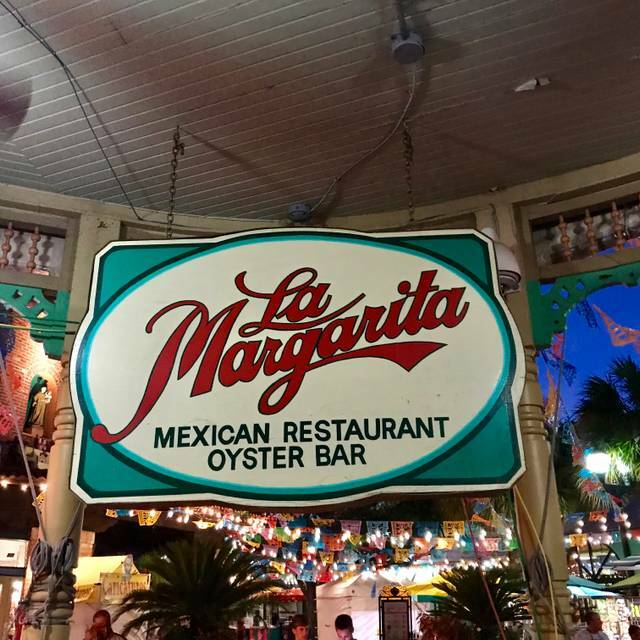 La Margarita Restaurant & Oyster Bar is proud to be a part of Market Square, “The Heartbeat of Mexico,” where locals and visitors alike enjoy spectacular fiestas, shopping as diverse as produce and piñatas, and the romantic music of strolling Mexican troubadours. 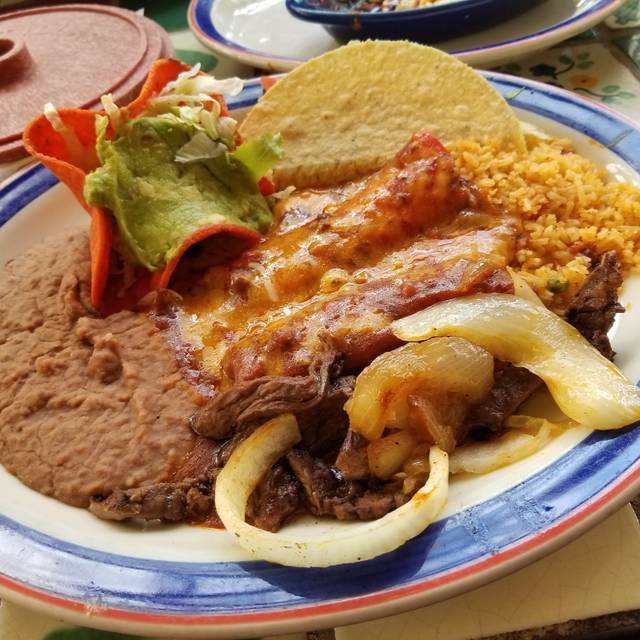 In San Antonio, “The Mecca of Mexican Cuisine,” the Cortez Family and the entire staff of La Margarita welcomes you to the “Home of the Sizzling Fajitas.” Here, the most exciting dishes from across the border are presented to the most discriminating tastes. A "delicioso" cocktail of freshly shucked Gulf Oysters and Gulf Shrimp combined with our special Cocktail Sauce and Pico de Gallo, made with ripe tomatoes, diced onions, jalapeño peppers, flavorful Cilantro and rich Avocados! Our Fajitas and Parrilladas are carefully tenderized, marinated and charbroiled. 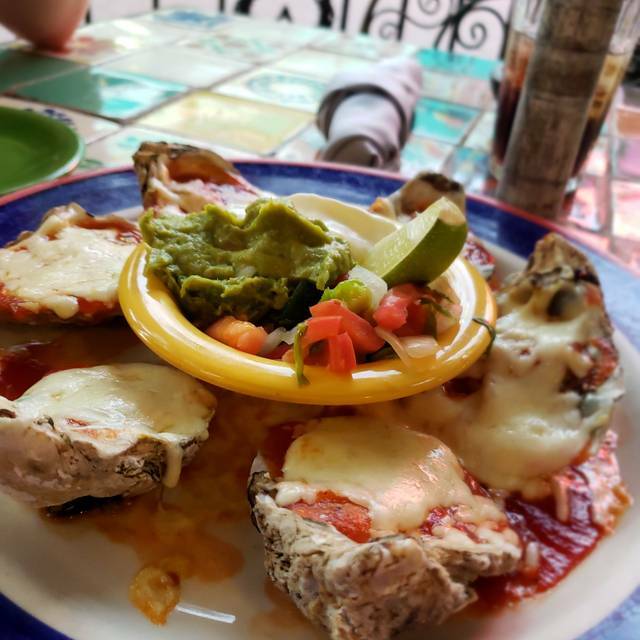 Your order is accompanied with (2) Frijoles a la Charra, (1) Rice, Guacamole and Pico de Gallo in a lava-stone molcajete, tasty grilled Onions and plenty of fresh flour Tortillas so that you can create your own Tacos! 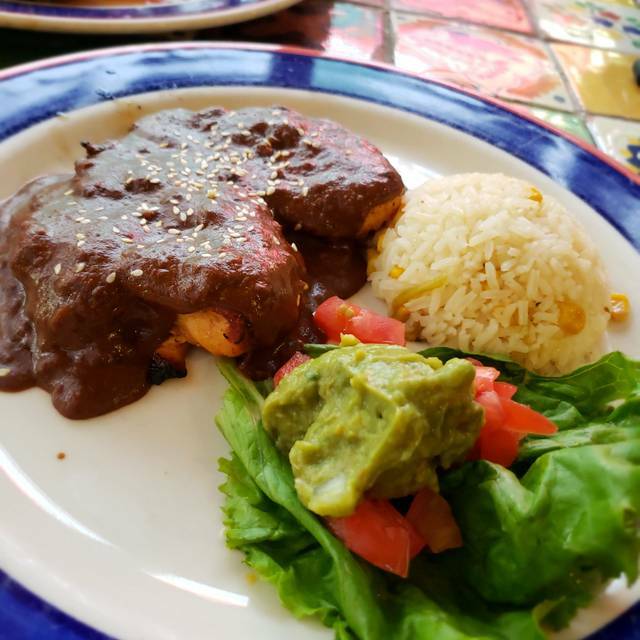 Our Specialties of the House and our Mexican Dinners are made from our unique, freshly prepared, time-tested recipes and served with pride! Vanilla ice creamserved with fresh churros and topped with chocolate cauce, strwberry puree and whip cream. Served with Homemade Big Fries and all the Trimmings! Our renowned Margaritas offer you the most refreshing and tantalizing tastes! Your favorite beer with Tabasco, fresh lime and ice in a large schooner! Great atmosphere and really good reasonably priced food. Enjoyed sitting on the veranda and watching the activity in the market. Such an amazing experience! We celebrated an 87th birthday and it was so much fun! The food, the music, the margaritas and the service were absolutely perfect. So very happy with our choice of La Margarita to host the festivities! Best tortillas I have ever had... and I was born and raised in Texas, so I've had plenty of tortillas! :) The fajitas are really tasty. The Mariachis, while a wonderful cultural feature of the restaurant, were intolerably loud when they were playing. The restaurant is too noisy overall for an optimum experience. 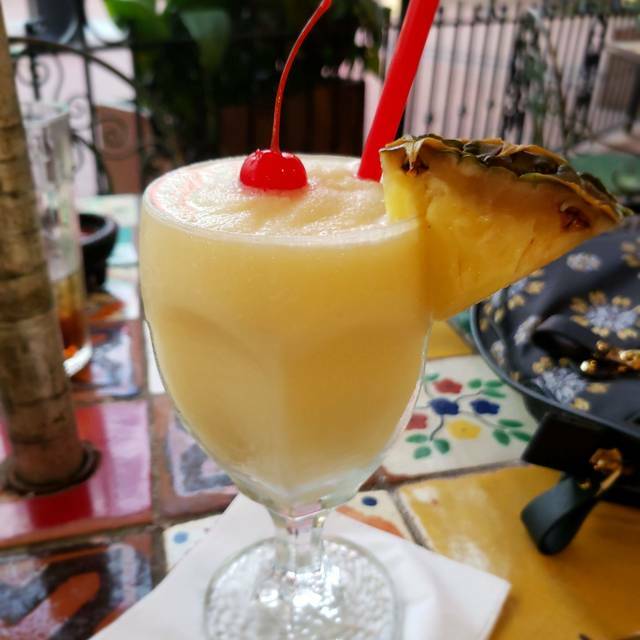 When friends come to San Antonio we always recommend a stop at La Margarita! The atmosphere at this restaurant was great! Trios and Mariachis walking around playing music on request. Make sure you show up hungry and thirsty. Good chips and salsa is usually a good indication the food will be good and the food was great with large portions. The margaritas were very good. The good food and drinks were complimented by very good service. Will definitely go back! Loved this authentic Mexican restaurant. Indoor or outdoor dining. We chose outdoor, under a canapy. Strolling musicians added great ambiance to the meal. I enjoyed one of my favorites, chili relleno. 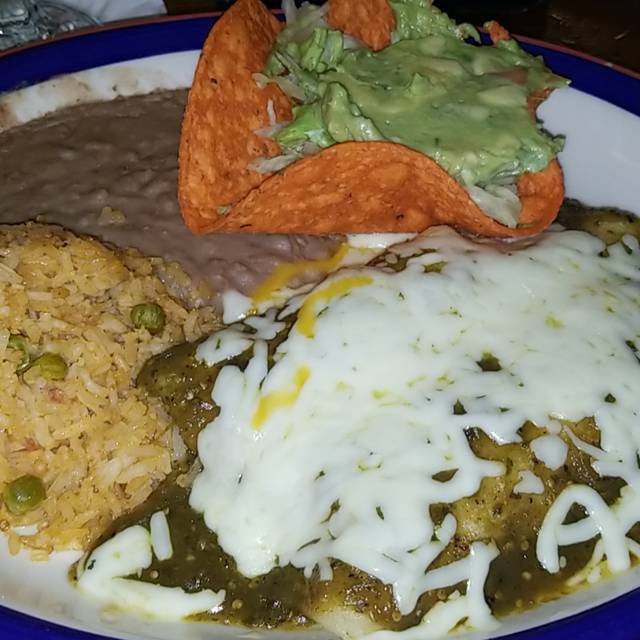 A tasty poblano pepper filled with meat and cheese, served with spanish rice, refried beans and guacamole salad. My wife had the chickwn fajita's. Both dishes were fantastic. I wnjkywd the el don margarita (top shelf) and my wife has a pomegranate margarita. I recommend both. The service was not that great. We had to wave our waiter several times for a refill of a drink. I wouldn’t go back. Just because of the service. Meal was excellent. Waiter was not as attentive as he should have been. Taking his break at the bar and he was more focused on eating at the bar then his customers. The open table reservations said the earliest opening was at 7:15. We arrived at 6:45 and the restaurant was about a third full. There were many empty tables. I mentioned this to the hostess and she said she would mention this to general manager. Took my daughter and her boyfriend to dinner for her 21st birthday. They had a Mariachi band, so I paid for her birthday serenade...my job to make her special birthday memorable!! After dinner was over, the staff brought her birthday cake & serenaded her again!! great customer services! waiter are the BEST, food came out HOT! Had an excellent meal at La Margarita near the historic market square. Very active and lively environment. Food was outstanding. I sat on the patio and enjoyed watching the comings and goings. There was a mariachi band (though they charged $20 per song for requests). Service was good. I would not say service was outstanding but that isn’t a criticism. It was what I would expect service to be. Would highly recommend and would go again. Authentic San Antonio! Took my cousin from Louisiana to dinner while he was here on business. We enjoyed the food and ambiance! Our waiter was very attentive, but it was very loud. We had to speak loudly to hear one another. Everything else was great! What a festive restaurant! The staff was lively and friendly. We were welcomed and treated to superb service. We had the combo fajitas which were served sizzling. The rice and beans were far superior to the competition. But the best item of all was the Mexican shrimp cocktail- it was one of the best I’ve ever had! The tomato juice had nice flavor, the shrimp were cut in bite-size pieces, and the avocado was nice and fresh. The free salsa was sick, not chunky, and very spicy. We were shocked that our five-year-old ate a whole bowl himself. But it sure was good. 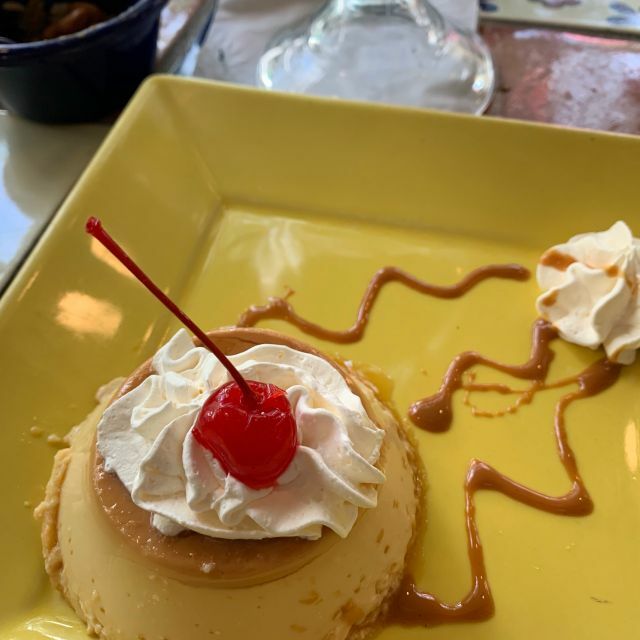 My frozen margarita was fantastic was my treat, but the kids loved the rich flan. If we lived in San Antonio, this would be our regular place to go to. It was a nice evening sitting on the patio and watching the shoppers walk by. We took our guests for a meal that was excellent but couldn't enjoy our conversation due to the loud music. Restaurant sound & conversation is one thing butthe horn & constant music of the traveling mariachis was a definite deterrent to our enjoyment. A stage for performances might be better. Food and service was great and the portions were generous so no complaints there. The service was outstanding, presentation of food from cooks and servers and their knowledge of menu and food pairing, I was blown away ! The food was amazing we had enchiladas and the flavors and sauces just to die for! Gotta love them margaritas!! Don’t change a thing !! Will be back for more!! Not as good as it used to be. We used to order fajitas that were full of flavor and I can not say that about this experience. Food wasn't good. Queso lacks any flavor, whatsoever. The bean and cheese nachos were really cheese nachos because the beans were either sparse or covered in a whole block of cheese. My little ones soft chicken taco couldn't even be eaten. Not only was the flavor of the chicken gross, but the time she got it, the juices had soaked through the corn tortilla. Won't go back. Won't recommend. There are too many other good places to eat in San Antonio. Food excellent, as always. Particularly enjoyed the baked oysters. The quality of all their ingredients is outstanding. The service was pretty slow that night. Not sure why it didn't seem to be swamped. 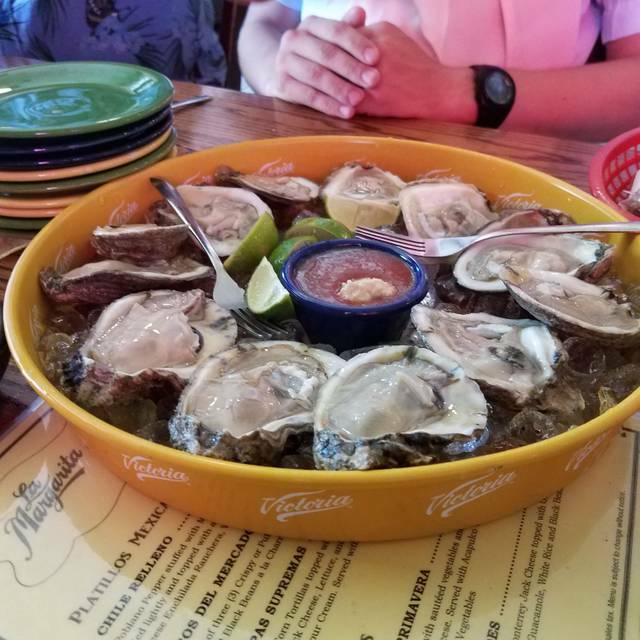 Had some great oysters, the margarita by the liter was good too. The server was on point and took care of us really well. Come from Housto to eat the cabrito. I brought 3 first time guests. Oysters were nasty. We order platter of cabrito, it came on side plate, no crisp and on same plate as dried out cabrito. First horrific experience. We've been coming happily for years, until now. The food and drinks were great and our dessert tasted as good as it looks. A little pricier thank you average Tex mex but that is expected for the downtown area. They validate your parking for one hour as well if you park in their lot directly behind the building. We arrived 30 minutes prior to our reservation. The staff was very friendly and greeted us enthusiastically. We were escorted to our table immediately. The service was excellent and the food was prepared wonderfully. Thank you. Quality food and service. Never disappoints. 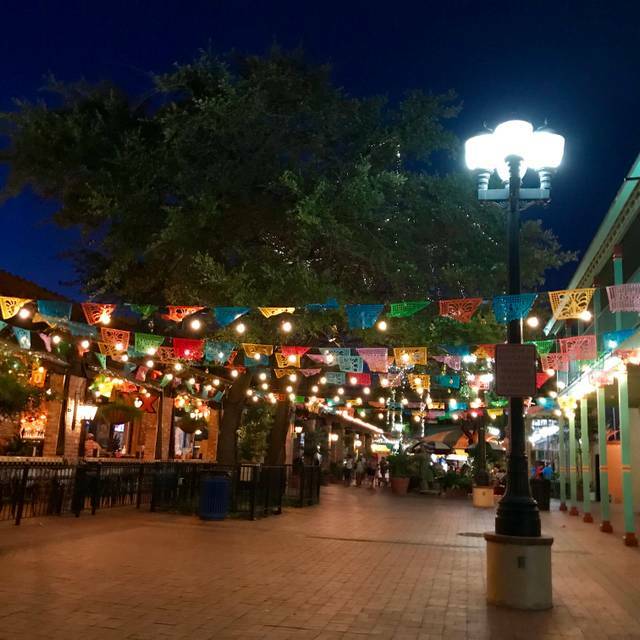 La Margarita is a good restaurant in the middle of Market Square in San Antonio which has a lot of shopping, authentic Mexican shops and small artisan shops. A good place to spend the afternoon and get something to eat. Food was good , atmosphere good, a little loud. Loved the on-line reservation! The lunch menu is very limited and my shrimp was not fully deveined. Very kid-friendly but otherwise mediocre experience. Recommend for dinner, not lunch.